I was once going through all the post on CampusCub and have realized that most of the post are related to IT jobs. Then I thought for few seconds and have decided that we had to diversify this initiative to different sectors. While I was looking on how to start with, my phone rang.... It was my friend "Mallu", who had been looking for job in pharma sector. That's it, I had decided now..!!! Though that domain is new to CampusCub, I didn't leave anytime to go ahead and start my hunt, the "CampusCub Hunt"... For all those who don't know what is "CampusCub Hunt", it's a unique way by which CampusCub will deliver so many job opportunities for freshers. There, is not rocket science involved in this process and I am not even afraid to share those hunting points with you.. They are simple, 1) We crawl the career page of websites as we surf on net 2) Friends network. As you have seen, those are only two simple rules we have for you, and what makes us special is that we follow those two rules very well. So, coming back to this post in particular. I was surfing through lot of pharma company sites and the results were not that impressive initially, but later on I got some hope as I went along searching for more companies. But, I might be not too happy to say that position is not for those with no experience. They are expecting at-least 1+ years of experience, and that fits our CampusCub values. And this is more of a marketing profile. If you are into sales/marketing with a minimum of 1 years of experience then you can surely give a try. 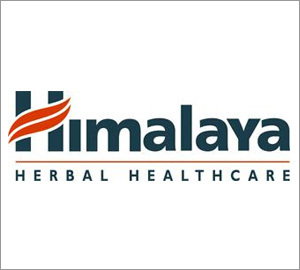 As you might have known by the logo, the position is for Himalayan Health Care India. We might have mostly at least heard about this company in our day to day lives, through their large chain of products. The position is spread across India which might ask you to relocate if required, and they are looking for a minimum qualification of Graduation. Though I am not that used to the pharma industry and that too on the marketing side, I would not take time to help you understand the profile completely as I normally do. Just have a glance by yourself on the below job description as mentioned in their site itself. To achieve daily, weekly, and monthly sales target. Handling Primary & Secondary sales, sales planning, after sales service. Handling dealer & distributor Conducting displays, building volumes and implementing marketing & sales promotion and work site activities to increase the visibility and business of company. Now that you have gone though this short description, I suggest you to give a try or at-least help other by sharing this information using the Facebook send button. And here you go for the direct link to the Himalaya Careers page.